The Westwicke Blog is designed to deliver information and insights into the ever-changing world of healthcare communications. To some companies, the annual letter to shareholders is an art. Warren Buffet, for example, may write a 30-page letter that addresses a range of topics — some that have little relevance to the letter’s intended audience. 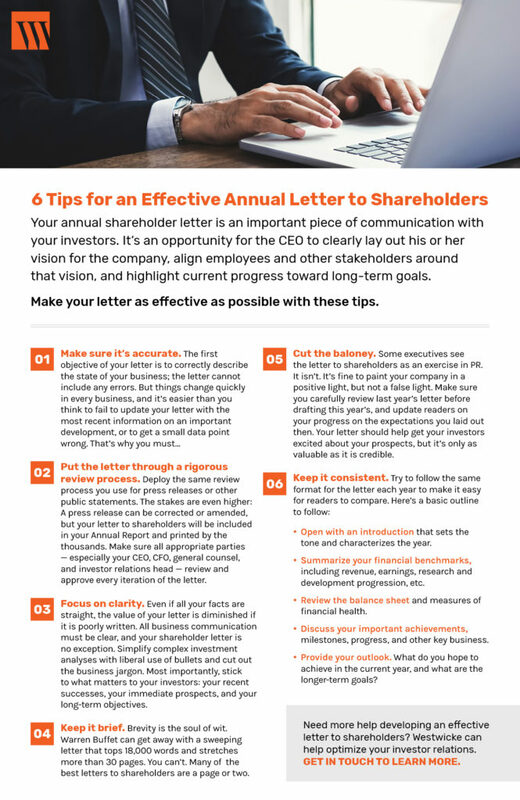 However, as you prepare to release your annual letter to shareholders, the best approach for most companies is to keep it clear and concise. 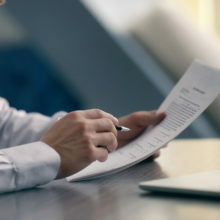 This letter is an important piece of communication with your investors, and it should clearly lay out your vision, goals, and milestones achieved. Here are six tips to make your letter as effective as possible. The entire Westwicke team will combine with ICR’s existing healthcare investor and public relations practice, forming a new entity: Westwicke, An ICR Company. Westwicke will operate as ICR’s healthcare practice and integrate ICR’s capabilities. Read more in the press release announcement.